Home Prospective Employees Moving to D.C. 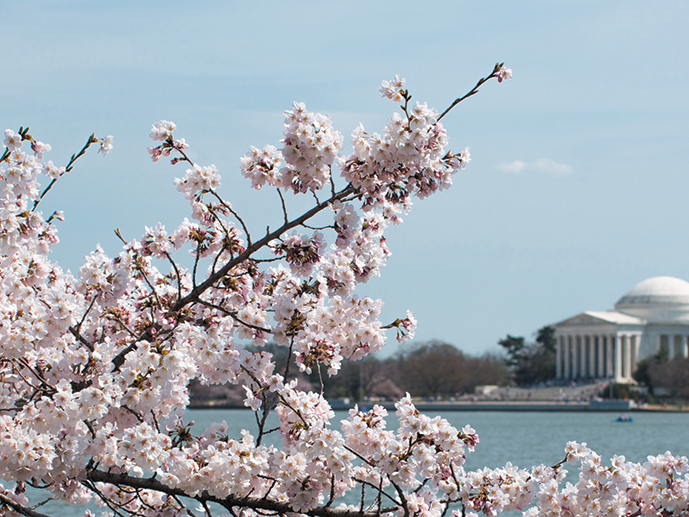 Working at GW immerses you in the rich cultural heritage and historic locations in and around our nation’s capital. Our main campus is located in the Foggy Bottom neighborhood of vibrant downtown D.C., while the Mount Vernon Campus in Northwest D.C. and the Virginia Science & Technology Campus in Ashburn, Virginia are located in peaceful suburban areas. GW also has business offices and graduate education centers located strategically throughout the D.C. metro area. The Metrorail transit system allows you to commute throughout the D.C. region easily. Whatever part of the area you are in, a host of resources, recreation, and transportation options await you. The university has partnered with various preferred vendors to help new employees with their relocation needs. We recommend employees use the services of one these vendors while relocating. The Real Estate Advantage Program provides you and your immediate family members with expert real estate guidance while saving you time and money. Register up front and receive access to real estate program specialists who can connect you with licensed local real estate experts and service providers. You or an immediate family member can also receive a rebate or credit equivalent to 15% of the listing or purchase side commission (the side your agent represents) when they buy or sell a home through the program. Additional closing cost credits are available from a program-preferred mortgage partner - up to $1,200! For more information, call 1-800-396-0960, email [email protected], or visit RealEstateAdvantageProgram.com. *The ability to pay a cash rebate may be modified or prohibited in some states. Not valid on previous home sale or purchase transactions. The Real Estate Advantage Program is a free, no-obligation benefit program offered in all states and Canada through Coldwell Banker Relocation. The ability to pay a cash rebate may be modified or prohibited by law in some states. Not valid on previous home sale or purchase transactions. Open to all employees and members and their immediate families - parents, siblings, children - nationwide. Registration before speaking with a real estate agent is required to ensure eligibility for the rebates. The rebate amount is based on the purchase or sale price of the home. A rebate check will be sent a few weeks after the closing. Closing cost credits are available only through mortgage companies referred by Real Estate Advantage. Closing cost credits are based on the loan amount of the home you buy, which is directly deducted from the closing costs. ©2018 Coldwell Banker Real Estate LLC. Coldwell Banker is a registered trademark licensed to Coldwell Banker Real Estate LLC. An Equal Opportunity Company. Equal Housing Opportunity. Operated by a subsidiary of NRT LLC. Real estate agents affiliated with an NRT Company are independent contractor sales associates and are not employees of the company. GW employees receive up to a 70% discount off a variety of moving, storage, and transportation services to support a smooth transition into their new homes. For your specific needs, contact our preferred vendor, ATLAS Van Lines - Collins Brothers Moving, the vendor listed below, for quotes and mention you are a GW an employee. Our Wellbeing Hotline offers moving support in the form of free educational materials, personalized referrals, and an interactive website to help employees manage a move, ease the transition into a new community, and locate dependent care and personal resources in their new area. From dynamic urban locales to tranquil suburban streets, the D.C. Metro area has a wealth of unique and engaging neighborhoods ready to provide for your needs and preferences. For a list of our preferred real estate agents and realtors, please contact The GW Wellbeing Hotline at 1-866-522-8509 or visit the Resources for Living website and use the username: GW-Wellbeing with the password: Yourlife. Temporary lodging accommodations such as bed and breakfasts and short-term rentals are great ways to stay in the city while looking for a more permanent place to live. Hotels are another great option, and several local hotels offer discounts for GW employees. Whether it's by plane, train, bus, or car, find the a transportation solution that works best for you to get to and around the city. There are a variety of public transportation options in D.C. to get you where you need to go. Receive $2 off one-way trips and $5 off round-trips from 29 airports nationwide with Super Shuttle. Use GW’s group discount code “GCJ8R” on the Super Shuttle website. Pre-Tax Transportation & Metro Parking Program allows benefit-eligible employees (full-time and regular part-time employees) the opportunity to set aside pre-tax dollars each month to be credited to their SmarTrip card, which may be used for Metrorail, Metrobus, and Metro Parking. Capital Bikeshare: GW employees are eligible for a discounted Capital Bikeshare annual membership. With stations on GW's Foggy Bottom campus as well as throughout the D.C. metro area, this service offers a convenient way to get around town. Learn about a variety of child care benefits available to help you meet both your short-term and long-term needs. Access information on citizenship, green cards, work visas, and much more at the USCIS website. You can also contact the Faculty & Staff Service Center with questions. We want you to build your personal community and enjoy time away from work, too. Check out the events around the Washington, D.C. metropolitan area so that you can relax and enjoy your weekends. In addition to these resources listed on this web site, GW is proud to provide you and your household members with immediate access to our Wellbeing Hotline, a comprehensive work/life program that is available to all GW employees as an employer-paid benefit.